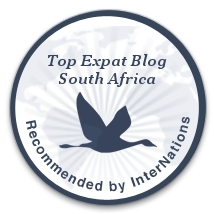 January 17, 2016 in Joburg, Pet Friendly Resources, Restaurant Reviews, Uncategorized. This week’s entry for ‘Weight(less)‘ is from last year’s trip to Muinch, Germany. Many surfers such as this one, enjoy surfing in a little river inside the English Garten! January 10, 2016 in Photo Challenges. January 7, 2016 in Restaurant Reviews, South Africa. New Year’s Day at the Highest Pub in Africa! January 5, 2016 in Drakensberg - Underberg, My Travelogue, Pet Friendly Resources. This week’s entry for CIRCLE: a flower arrangement at a hotel in New Delhi. January 4, 2016 in Photo Challenges.